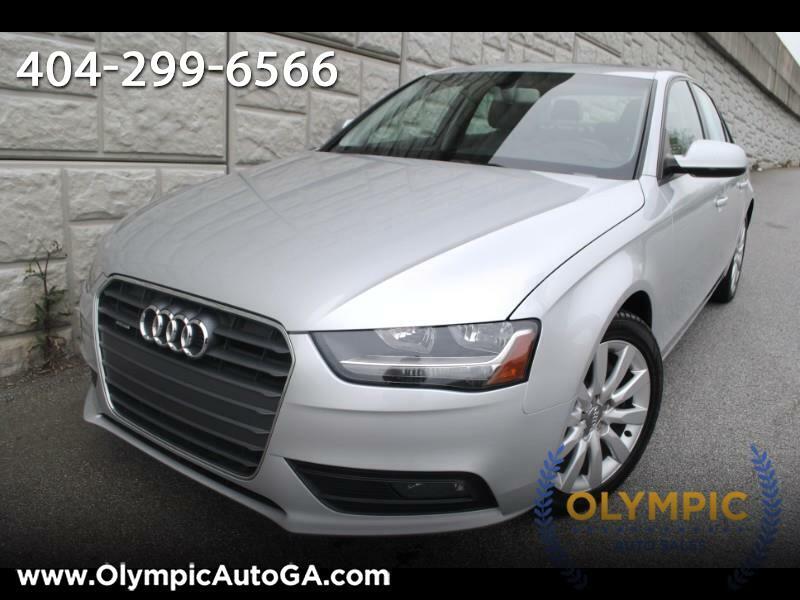 Three trim levels are offered for the 2014 Audi A4. First is the Premium level, which includes leather seats, sunroof, and an automatic climate control system. Next is Premium Plus that adds HID lights, Audi advanced key system, an S line exterior package, and heated front seats. Finally, the Prestige trim level comes loaded with navigation (also available on lower trim levels), a premium audio system and a blind spot monitoring system. You promise to pay us the principal amount of $15,995.00, plus a time price differential accruing on the unpaid balance at the rate of 9.90 % per year from today's date until maturity. The time price differential accrues on a 365 day basis. After maturity, or after you default and we demand payment, we will earn finance charges on the unpaid balance at 9.90 % per year. You agree to pay this Contract according to the payment schedule and late charge provisions shown in the TRUTH IN LENDING DISCLOSURES. You also agree to pay any additional amounts according to the terms and conditions of this Contract.